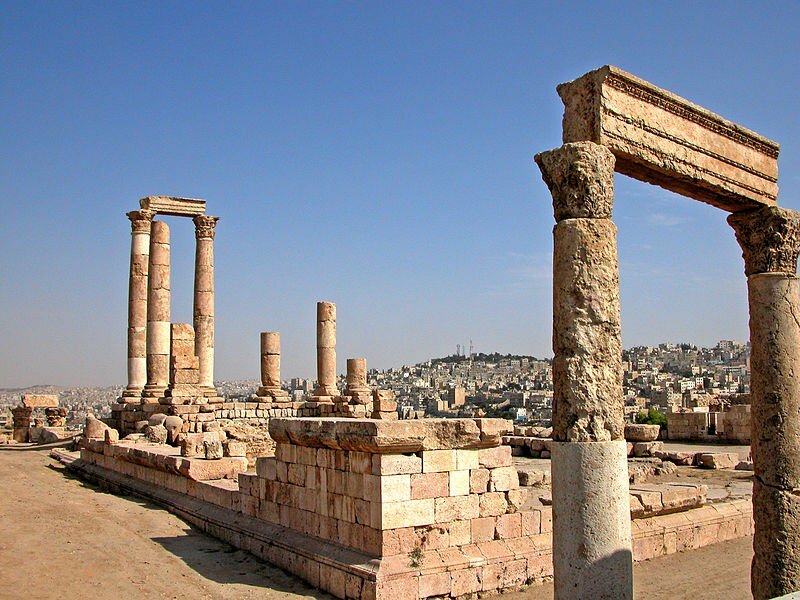 The Abrahamic Covenant is from the book of Genesis and begins with chapter 12 as God calls upon Abraham to go the land of Canaan where he promises to “make of him a great nation,” a blessing unto to mankind through his descendants all families of the world shall be blessed. Genesis 13:1-4 . . .
8 So Abram said to Lot, “Let’s not have any quarreling between you and me, or between your herders and mine, for we are close relatives. Genesis 23:19-20 . . .19 Afterward Abraham buried his wife Sarah in the cave in the field of Machpelah near Mamre (which is at Hebron) in the land of Canaan. 20 So the field and the cave in it were deeded to Abraham by the Hittites as a burial site. 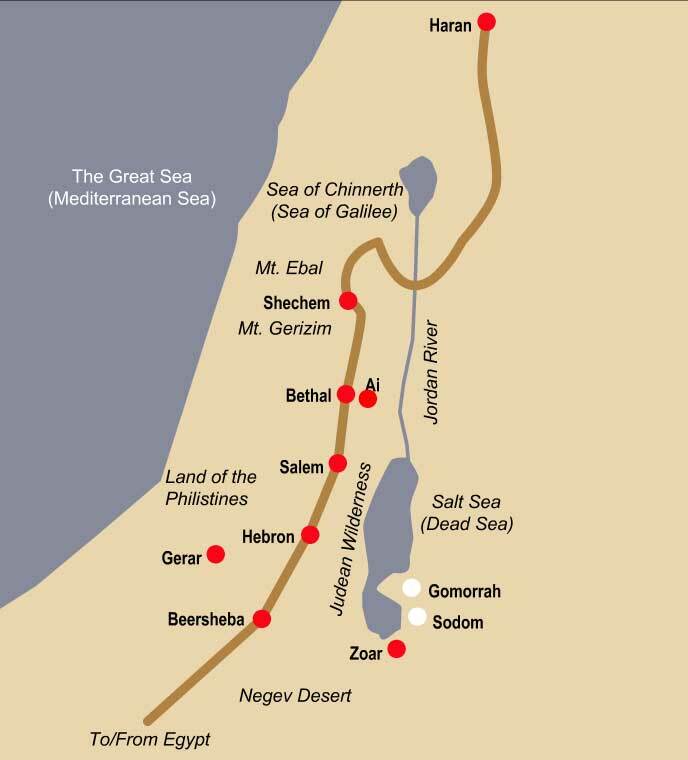 1 Now Abraham moved on from there into the region of the Negev and lived between Kadesh and Shur. For a while he stayed in Gerar, 2 and there Abraham said of his wife Sarah, “She is my sister.” Then Abimelek king of Gerar sent for Sarah and took her. Genesis 21:30-34 . . .
Genesis 19:23,30 . . . Hover over any red circle to open a scripture link.